Downloading the Preschool Theme | Click here if your download does not start automatically. Live Demo Download (430) Free vs Paid? 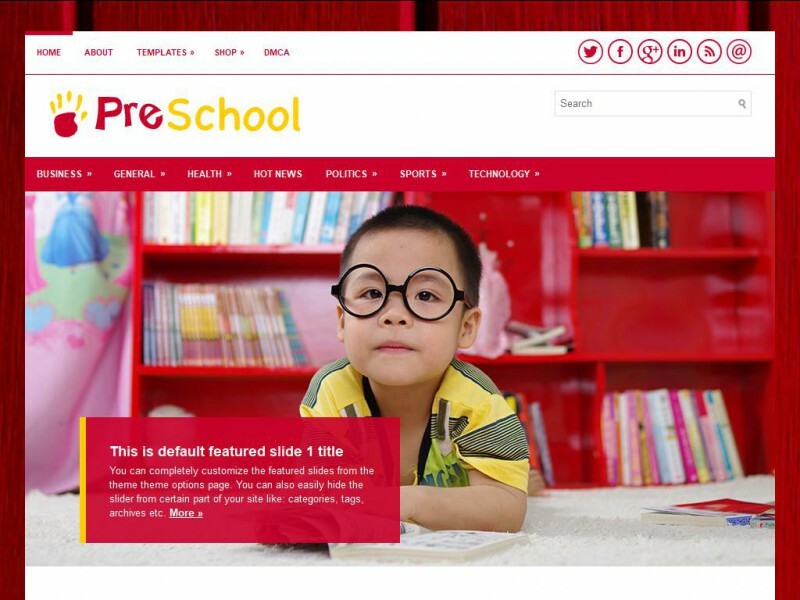 Preschool is the perfect WordPress theme for a children’s educational site, daycare, or any kids website built with WordPress. It’s designed to be colorful, playful, and fun! It’s ready to go out-of-the-box, with its impressive dropdown menus, slideshow, contact form, etc, all built into the theme. It’s very easy to get started and you’ll be up and running in a few minutes. So what are you waiting for? Give this WordPress theme a try for your next project. Both children and parents will love it!